My Nexus 5X was randomly restarting when I first got it and at first I thought it was an issue with the actual phone. Turns out that it was not and this can be caused by a couple of different reasons. After a lot of googleling it seems like a lot of people was of the opinion that this is mainly caused by a conflicting app. That wasn’t the case for me so I decided to write a simple “How to fix my Nexus 5X Random Reboot” guide. So at this point we want to know if it is caused by an app you have installed. Simply follow the steps below and you will know. Be sure to backup everything from your phone, because it will be erased. Uninstall all the apps you have installed yourself. When prompted, make sure to choose “Reset Everything” and later on “setup as a new device”. This is very important! Let your Nexus 5X do it’s thing and everything will be set up. What you have now is your phone with all data reset and your apps removed. Your android install will still be exactly the same as it was before the factory reset. So now you will start using the phone without reinstalling your previous apps and see if the problem is solved. If your Nexus 5x no longer is shutting off or rebooting by itself, then you know it was caused by one of your apps. It could have been a faulty installation, and in that case you might never find out what app it was. In case it was a poorly coded, or incompatible app you will now start installing your old apps one by one. For each app you install, you need to make sure that your Nexus 5X no longer randomly reboots. When you can confirm that, you install another app and so on. If however, your Nexus 5X still are restarting on its own, then it is time to move on with the next steps. So now we know that the random reboots was not caused by the apps. That means that it is a faulty installed Android system or one of the Marshmallow updates you have installed. Think about it this way. when you received your Nexus 5X, there was an Android install on it. Whenever you install updates, it will add or replace snippets of codes on the phone. It will never completely replace the original Android installation. Well, that is what we will do now. We will download the most recent complete Android version and fully replace your current install with that. Let’s get started. First you need Minimal ADB and Fastboot installed on your computer. But first we want to make sure you can connect your Nexus 5X to your computer. For this you may need ti install the Google USB drivers here. Now you go here and download the Minimal ADB and Fastboot on your computer. After download, launch the minimal_adb_fastboot_vx.x.x_setup.exe file. It will ask you for installation path. I suggest you choose something simple as you need this folder again later during this process. I installed in C:android-install. Now we need to get a hold of the latest Android image. Go here to do that. Make sure you download the right image for your device!! 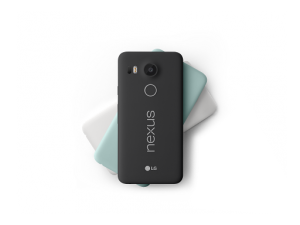 You can not install a Nexus 6P image on a Nexus 5X phone!. Nexus 5X images are called “Bullhead” and the most recent version is usually at the bottom of the list and as I write this is 6.0.1 (MHC19Q). The file you download is compressed and will have a .tgz extension. You will need a tool to extract it. I used Winrar. So open it in Winrar and double click on the “bullhead-xxxxxx” folder. Now you will see all the files. Extract them into the C:android-install you created earlier. Now enable USB debugging on your Nexus 5X phone. You need to have the developer options activated to do that. Go to “About Phone” and keep tapping on the build number. It takes about 7 or 8 taps and then it will say that you now are a developer. No there will be a Developer section under settings. Open that and enable USB debugging. Connect your phone to your computer and confirm “Allow USB debugging” on the phone when prompted. If you don’t get that prompt then open the notification panel, select USB For Charging Only, and change the mode to Transfer Photos (PTP). That is your Nexus 5X. Then your phone should have the popup waiting for you to authorize. Now we need to unlock the bootloader. This will make the phone factory reset. If your phone already has the bootloader unlocked, then skip this step. At the same command prompt type “adb reboot bootloader” and hit enter. Turn your Nexus 5X off and start it again by pressing and hold volume down, then press and hold the power button. Now type Type “fastboot oem unlock” to unlock you device (if not already unlocked). Then type “flash-all” to install the downloaded Android Marshmallow image. This process can take several minutes, so make sure you keep your Nexus 5X powered and do not turn it off. When it is done and restarted you will have the latest Android version on your Nexus 5X and hopefully your random reboot problem is solved. Please note: This is what worked for me and it seem to be an easy process. My Nexus 5X was fast and responsive after this process and have never randomly restarted again. Keep in mind, that if you want to do this or not is entirely up to you, and I do not take any responsibility for what may happen to your phone. ← Nexus 5x Review. I love it!